Located on the northern tip of Fuerteventura, Pierre & Vacances Village Club Fuerteventura Origo Mare features luxurious studios and villas, each with a private terrace and garden. 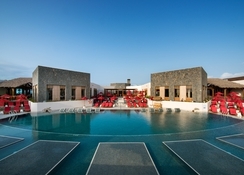 The leisure-focused resort is close to the coast and is surrounded by a volcanic landscape that offers unbeatable views of Lanzarote and the Atlantic Ocean. The powdery sands of Playa de Majanicho is just 2.2km from the property. 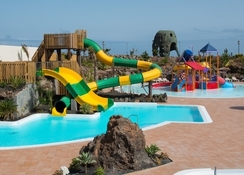 A perfect holiday destination in Fuerteventura, Pierre et Vacances Fuerteventura Origo Mare offers more than 40 different activities for all ages, both onsite and nearby. The property has a variety of daytime and evening entertainment that include 11 outdoor swimming pools in the Aquatic area, animations, game room, playgrounds, teen club, two tennis courts and one paddle court, mini market, planet kid, mini club and nautical sports like surfing, sailing, kitesurf, windsurfing, diving, stand up paddling and snorkelling. 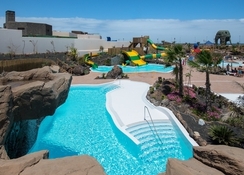 The Pierre et Vacances Fuerteventura Origo Mare is pleasantly located near the coast. While Playa de Majanicho beach is the closest to the resort, the nearby stetches of sand are in the towns of Cotillo (17km) and Corralejo (20km) which can be reached by car or a free shuttle. The resort’s surroundings offer bundles of exciting activities for outdoor enthusiasts, from a camel ride to trekking on volcanoes. Watersport lovers can enjoy surfing, kitesurfing or diving offered on the island. The Fuerteventura Airport is around 45km from the hotel. Accommodation at Pierre & Vacances Village Club Fuerteventura Origo Mare is available in the form of ground-floor studios and villa suites with terrace and garden. They are distributed in five ‘oasis’ areas, each with its own pool and paddling pool. The villa suites are divided into Standard and Superior, accommodating four to seven people. All the villas are well-furnished and comes with amenities like air conditioning, hair dryer, double bed or twin bed, sofa bed, en-suite bathroom with shower, satellite TV, towels, beddings, maintenance kit, free Wi-Fi and safety deposit box. The fully equipped kitchen has electric oven, dishwasher, kettle, coffee machine, toaster, fridge and kitchenware. 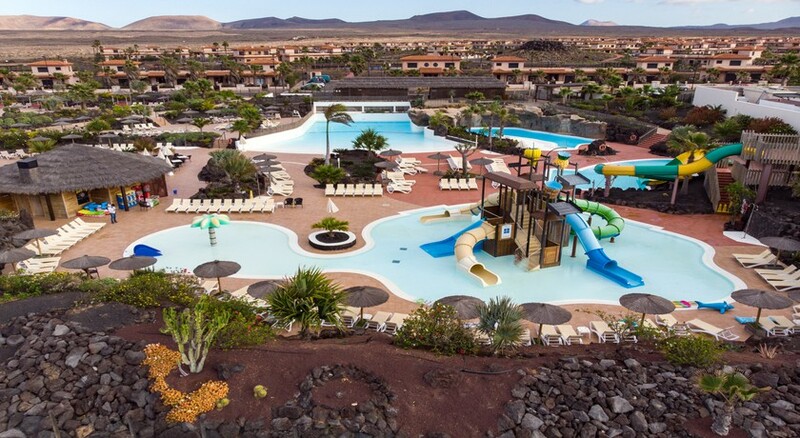 Staying at Pierre & Vacances Village Club Fuerteventura Origo Mare becomes all the more enjoyable with the choice of more than 40 free or a la carte activities and entertainments, available on site and nearby. 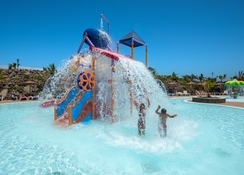 The resort has 11 swimming pools including five at the Oasis, five at the Crater Park and one adults’ swimming pool, which is heated year-round. 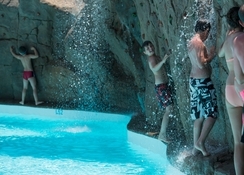 The Crater Park – a fun water park for kids and their parents – features a wave pool, climbing pool, water slides, a water tree and a paddling pool. A number of sports facilities are also on offer such as tennis courts, paddle tennis court, multipurpose playground, petanque pitches, bicycle on rent and a fitness area. Kids can let off steam at the children’s area or join the kids’ club that organizes a variety of games and activities. Evening entertainment keep both the adults and kids engaged, with thematic family and dance evenings, live music, quizzes and activities for all. The hotel also organizes trips and activities including sailing trips, quad biking, watersports, golf and island tours. The complex was beautiful, with plenty to do.it didn't feel too busy during our stay. The the villa felt stylish and had everything to cater for self catering. I liked that they offered free buses to local areas too as the complex is quite far away from other attractions. The food options and quality could have been better, however most nights we cooked our own dinners so didn't use the restaurant much. Service we received was very good, and it's fantastic value for money.i would definitely come again, and recommend to anyone wanting to visit the Island. Location a little far out with limited transport to the main beaches and towns. Apart from that the place is clean and staff friendly. It is worth noting the the cocktails you get for the all inclusive guests, are below par and we ended up paying for cocktails which were decent, but sadily not included in the all inclusive package. The place needs work, paths are broken, slides are closed. Adult pool in middle of kids entertainment area. Complex miles from anywhere. No path or road straight to beach so can't enjoy the sea. Entertainment no good.